The Hiker’s Network was founded in 1999. We were established with the aim of sharing mountain related information and merging the hiking activities of groups and in this way, inform, educate and share. Our purpose is also to reach out to individuals, schools and educational institutes who do not have the skilled people to safely take them up mountain routes. We are contacted by diverse institutes who enjoy being part of the programme we provide. and Trail runners and we have a growing team base with a dynamic mix from all communities. 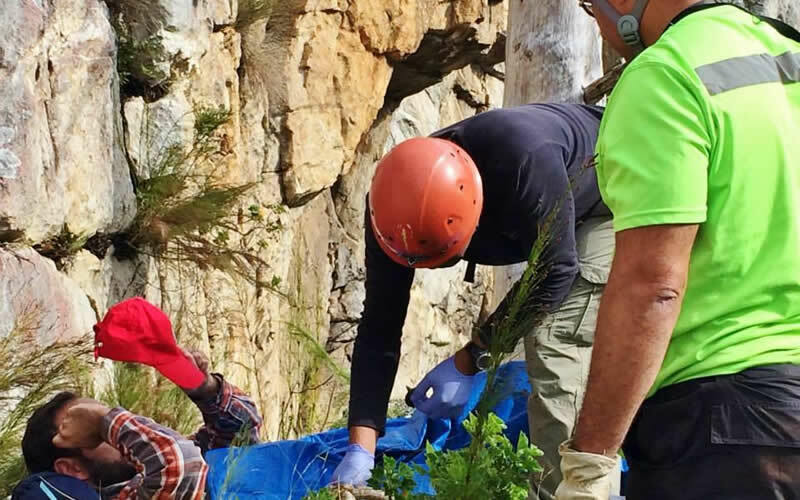 The Hikers Network team is called out as a field rescue team for those lost and injured in the Western Cape Mountains. Our team provides field support and are ready to assist 365 days a year, 24 hours a day in all weather conditions. We are the originators and operators of the WhatsApp based SafetyMountain Tracking system for outdoors users. We welcome the public to please consider signing up for this free monitored service.